Simple look is still on the trend that people love. 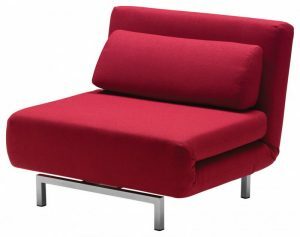 It is because in our generation, items that looks sleek and simple draw our attention. And that’s why simple and minimalist look is still going strong. 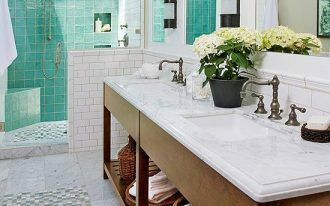 However, it is not always simple and minimalist all the way. 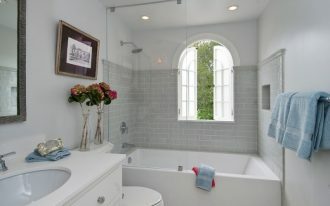 Sometimes combining with other features might create interesting look. 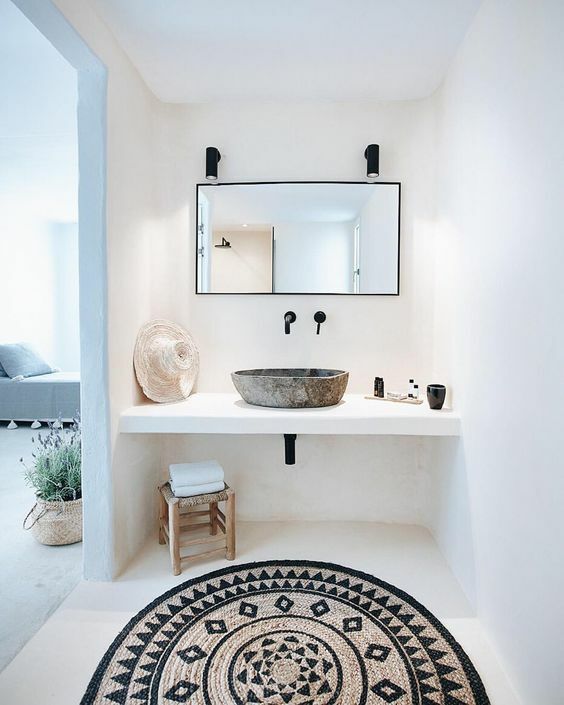 For you who love minimalist look but you also want to give a little accent of details, these below are bathroom with modern bohemian look where simplicity and warmth on details should be together. 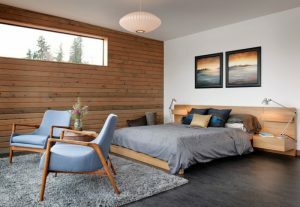 Although it looks so small in this picture here, the fringe in the natural rug has given the room a great look. Adding more layers and warmth to the room. 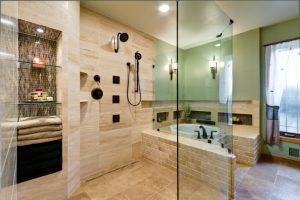 The neutral color palette has been the characters in modern but the natural material has been the features in both modern and bohemian look. 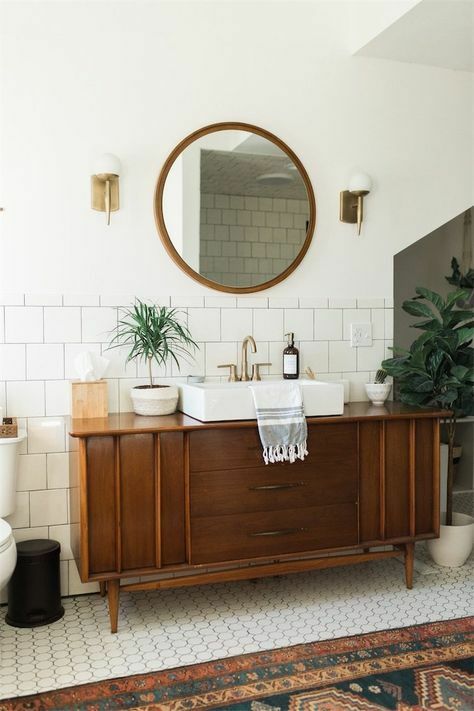 In this vanity, the neutral on white wall and material has given the modern and bohemian feeling. 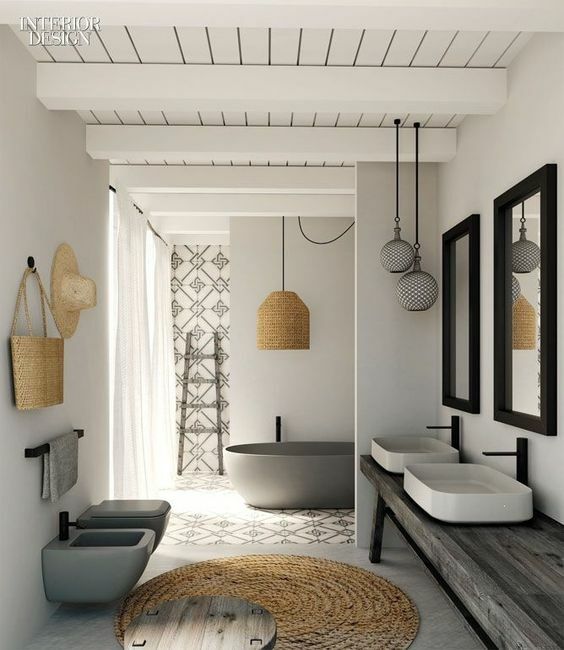 The minimalist look on the absence of frame on the mirror and sleek lines on the wall and vanity has given it strong modern vibe while the wooden shelves and rattan basket are clearly so bohemian. 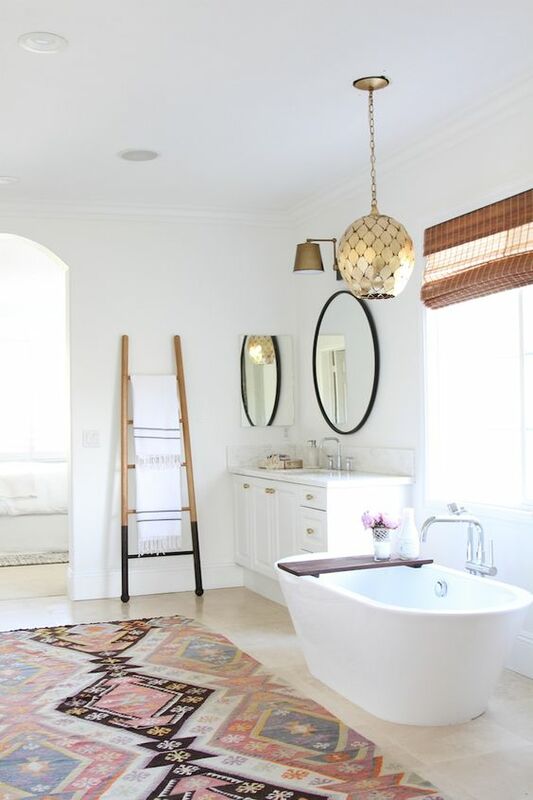 Although the bathroom looks cold with its clean lines and grey color palette, the rattan materials on the pendant and rug has brought them all together in warmer look. 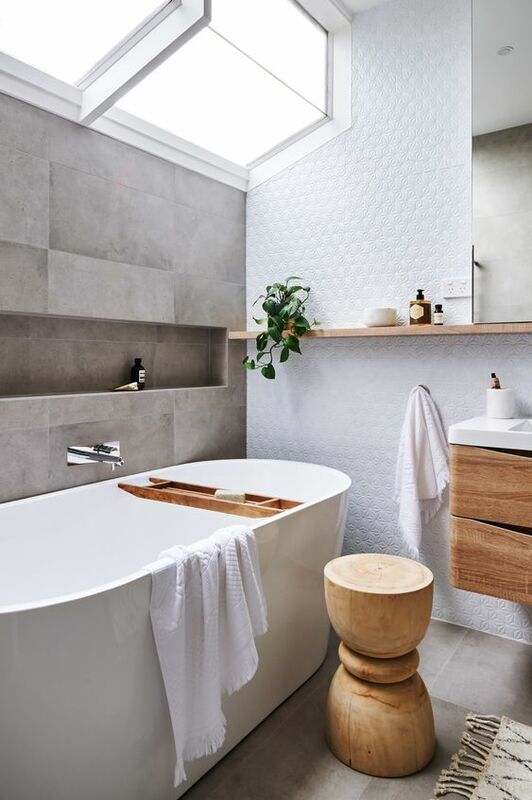 The details in this bathroom is exquisitely modern and natural. While the ambiance is neutral with natural material, it does not forget to bring a beautiful patterned rattan rug in the middle of the room. 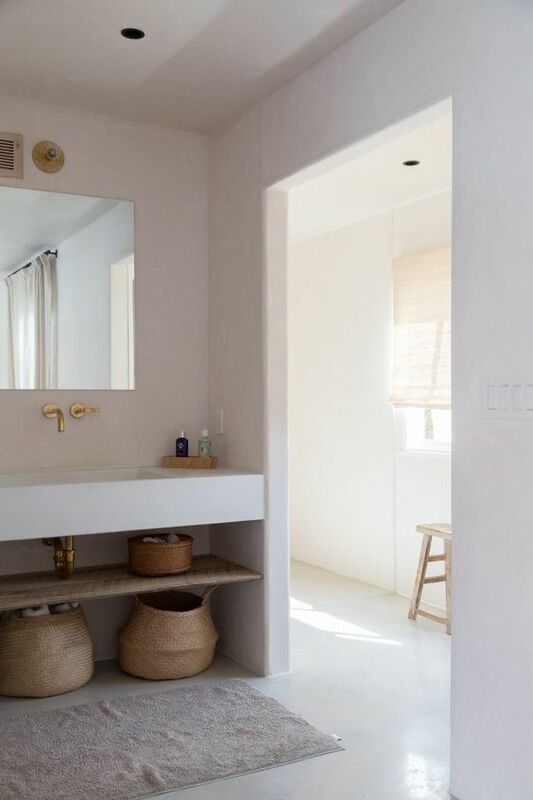 In this white bathroom, the small details are included in the white small tiles on the floor and walls as well as sconces. The bohemian vibe is strongly felt in the wooden cabinet and warm colored carpet as well as the plants. 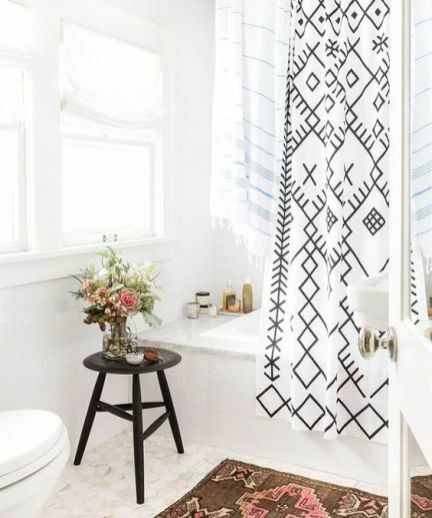 When you already have bathroom with modern vibe and in the future time you want to add some warm bohemian features, rug with patterns and fringe can help you with that. Putting some plants is a great thing to do too. One of the common look in a bohemian room is the colorful items that makes the room feel so warm. 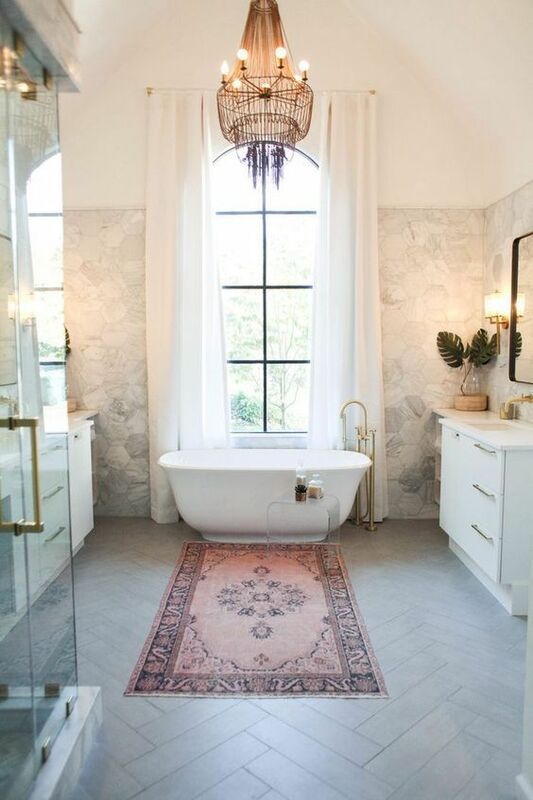 And if you think your bathroom is too stark, adding warmed colorful rug will make it less cold. 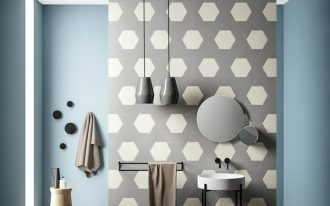 As bohemian look loves pattern and colors, it is a practical thing to add or change with things that have more patterns or colors in it. 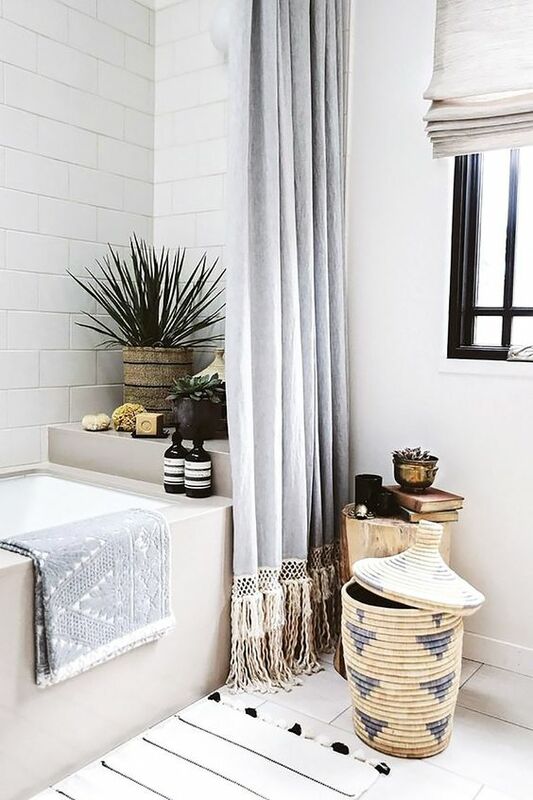 Like seen in this picture, the bathroom has a nice patterned curtain, rug, and even give some layers with fringes that helps the minimalist bathroom has more accents. 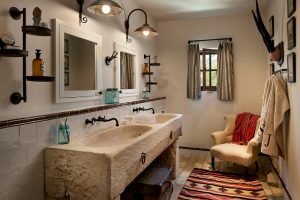 While the previous one has already modern bathroom with bohemian accent, this one here has more rustic features. 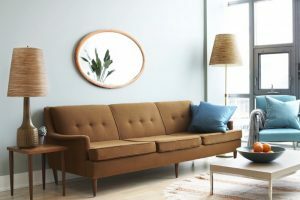 Modern vibes come in the plants pot, mirror, and the sleek shelves. 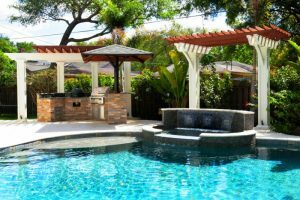 This one depicts a perfect look of modern and bohemian combination. 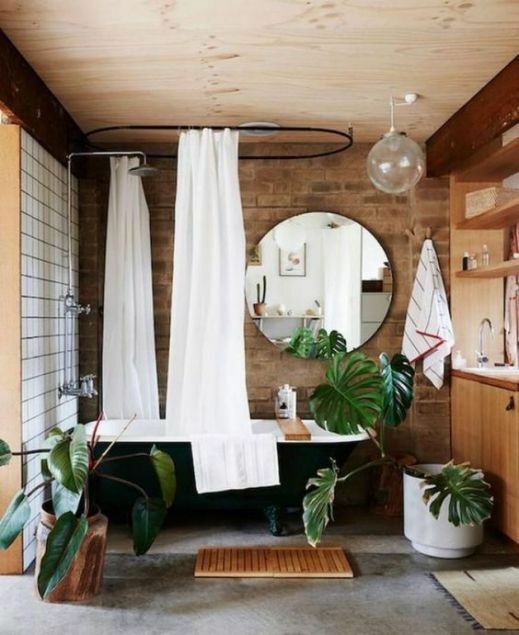 It brings bohemian features with the basket, fringes, mat, and plants while maintaining to look modern with the wall tiles and sleek lines in the bath tub.